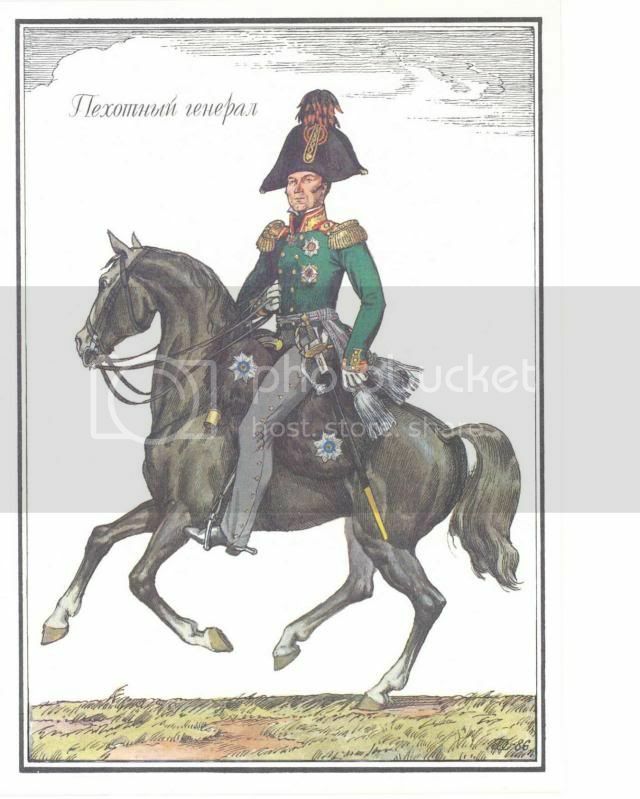 Does anyone have a good reference or painting guide for Russian Generals about 1812? After going through this myself, in general, Russian Generals wore the uniform of the Pulk (Regiment) of which they were colonel-in-chief. This is why horse accouterments varied. Again, in general, generals preferred the soft hat in lieu of bicorne. Never saw one in Kiwer. What color were Russian officer shabraques in 1812? I am specifically interested in Brigade, Divisional, and Corps level officers. Were they black as shown abover or were they dark green with gold trim? The one above is representing black fur and seems to be quite common for generals; however, not all manufacturers portray this type of schabraque. 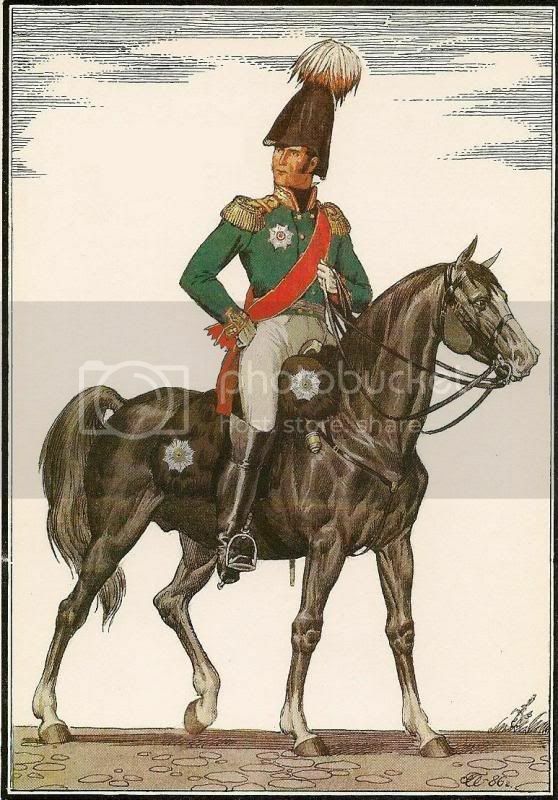 The Osprey book seems to suggest that in about 1809 the line officers had green schabraques with gold lace with the Guard had red schabraques with gold lace. Whilst the Russians had prescibed uniforms for generals from the SYW onwards I wonder if Paul might have encouraged the wearing of 'regimentals' as part of his 'Prussian' obsession? 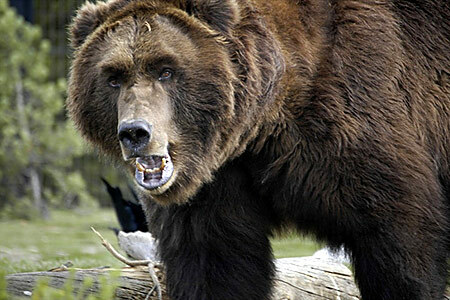 Looks a little like the Russian President, around the eyes, no? There are some good images of Russian Generals here replaceface.tumblr.com , portraits painted of Russian Generals in 1812-15.